In my last article I wrote about bull call debit spread. In that strategy if a trader is bullish, they would sell out of the money calls and buy at or in the money calls. Or they can enter into a bull put credit spread. Note that a put credit spread can sometimes be more profitable than the bull call debit spread. Very soon we will know how and why. First what is Nifty Bull Put Credit Spread? In this strategy a trader would sell a higher level put and buy a lower level put as insurance against unlimited losses in the short put. The lower level put acts as protection in case Nifty keeps going south. 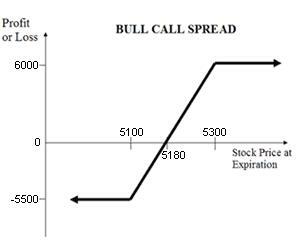 Can you recall bull call debit spread? This one is exactly opposite. 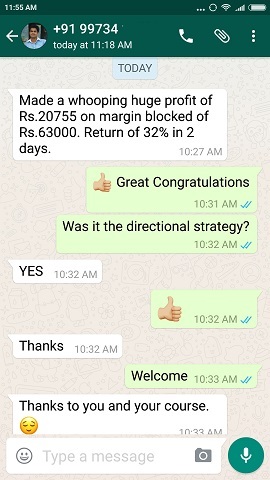 Here the traders account is credited but with bull call debit spread the account is debited. Though both the trades assume Nifty will move up. As always lets take an example. Lets us suppose that Nifty is at 5400 and you think it has bottomed out and is poised to go up. You can enter into a Bull Put Credit Spread. Here are the two steps you need to take. Note both trades needs to be done at the same time. Or you can set up a limit order close to the market so that both of them get traded simultaneously. Suppose 5300 Put for the far month is trading at 125 and the 5200 at 100, your account will be credited with 125-100 = 25 * 50 * no. of lots. 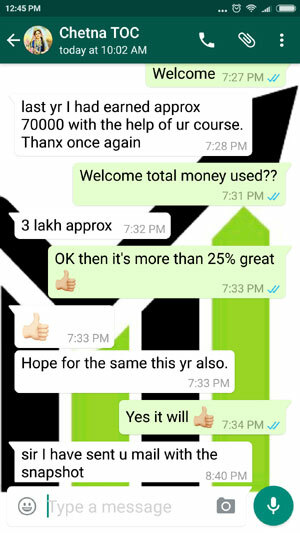 For example if you sold 5300 2 lots, and bought 5200 2 lots, your account will be credited with 25*50*2 = Rs. 2500. If you sold 4 lots then your account will be credited with 25*50*4 = Rs. 5000. Your profits? If Nifty closes anywhere above 5300 on expiry both the options expire worthless and you keep the premium received. 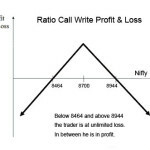 Your Losses: If Nifty closes anywhere below 5300-25 = 5275 on expiry you will have a loss, but this loss is capped. Note that 5275 is the break-even point because here you will make 100 points profit from the 5300 sold and since 5200 will expire worthless you lose 100 points there. So 5275 and below you start making a loss. Loss explanation assuming 2 lots in each leg were traded. 5300 put will be at 100. You sold at 125 and bought it back at 100. 5200 put will expire worthless. You bought at 100 and sold at 0. Total loss: 2500.00 – 10000.00 = Rs. -7500.00. That is it. Your losses are capped at -7500.00 and you cannot lose more than that where ever Nifty closes. For example if it closes at 5000. As you can see you losses are capped at 7500 and profits at 2500 for 2 lots. As you can see profits as well as losses are capped. You must be thinking why I took the example of far month and not the current month. This is because for the current month you may not get a good credit worth enough to take a risk. For example the difference between 5300 put and 5200 put in the current month may be just 10 and therefore the credit you receive will be Rs. 1000 (10*50*2). Is that worth to take a risk? Trading is nothing but risk management. For a small sum as Rs. 1000 are you willing to risk a lot of money and time. Agreed the loss is also limited, but I always think and do my math for the worst possible scenario for the trade. If I feel the trade is worth, I go ahead else I wait for a better opportunity. This by no means is to say that it is a good idea to sell the next months contracts always. The above was just an example. If you do credit put spread and are getting good credit for the near (current) month trades, then go ahead an do it. But just have a look at next month premiums as well, if you think you are better off trading the next month – you should trade the next month contracts. Also remember that by trading next month options you are taking slightly more risk, you are giving markets more time to move against your trades and therefore are getting slightly more credit. You should evaluate credit vs. risk whenever you are trading put credit spreads and take a decision. Never be in a hurry to trade. Think, do some math and then trade. Moreover wait for the right trade, markets will give you the opportunity sooner than you think. I had also written that this strategy may be more profitable than the bull call debit spread. You must be thinking why. Isn’t both a bullish trade and therefore should bring the same results? Well you may be surprised. In options time and volatility has a big role to play during the trading period. When the markets are falling everyone is buying puts and willing to pay extra premium to buy puts. Any market expert on options will tell you to sell an option if the volatility has increased rather than the other way round. This is because you will get a good credit when you sell options when the volatility is high. Now when the markets will bottom-out they will start moving north. This is when the fear will decrease and, as you may have guessed, the volatility will drop. Mirroring it the premiums in the options will also drop. You know what, if you have sold options you will soon see your trades in profits even if the markets stay at the same level and volatility drops. 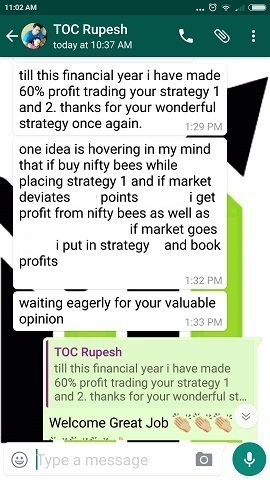 Now lets look at someone who has bought options when the volatility was high. They will be surprised to see the value of the options refusing to increase even when there prediction was right if volatility drops. If the markets do not move fast upwards, unfortunately time will come in and eat further premiums. That is why one of my articles focuses on why its hard to make money buying options. Unfortunately because of the volatility drop and time passing, the bull call debit spread may not make as much money as the put credit spread trade will make. 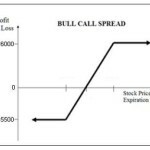 In fact the bull call debit spread may even make a loss while the put credit spread makes a profit. When the losses as well as the profits are capped, which one would you trade? Note: Well it may not always be true, as it depends on the market conditions at that time. If markets move up very fast and for some reason the volatility does not drop, the debit call spread will also make money an sometimes more than the put credit spread. If the trader is very lucky they make money on both the bought option and the sold one. But that is only possible if they wait till expiry. 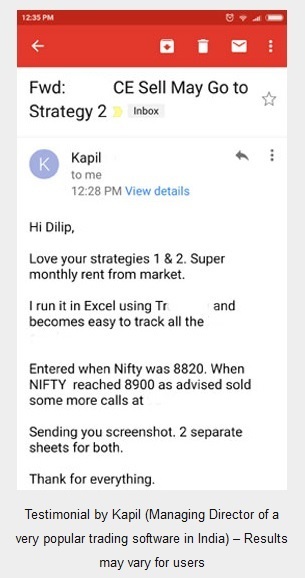 For example if a credit spread was done on 5500 call at 90 (buy) and 5600 call at 60 (sell) and Nifty expires exactly at 5600 – both the options will make money. 10 + 60 = 70 points profit. But these type of trades are impossible to predict. As you can sense, its always a better option to get into a credit put spread than a debit call spread if you are bullish of the markets and volatility is very high. Even if markets stay just above your short option, in the credit spread you will make money, but with debit spread you will lose money. If you are absolutely certain of a bullish move, you are better of buying naked calls and take a stop-loss if it does not happen. Very Important Note: When trading spreads never wait till expiry. Whenever you see a good reasonable profit, you should exit the trade. This is because any market whipsaw may take your profitable position to a loss making one. So even before you put on the trade you must know your bail out points. That is you should know when you will take the profits out and close the trade or when you will take a stop-loss and close the trade. Once done, do not change your strategy. Most traders lose money because they keep hoping that markets will ultimately favor them and turn around and give them profits. That day never comes and the trader takes a stop loss. You know what just after they take a stop-loss, markets starts to move in the direction in which they wanted it to move. Unfortunately by that time they have stooped out with a big loss. Read this article once again to get the finer points. 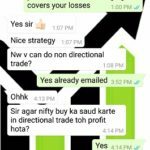 I am sure if you follow the strategy written here you must be able to trade well and make profits more than the losses.